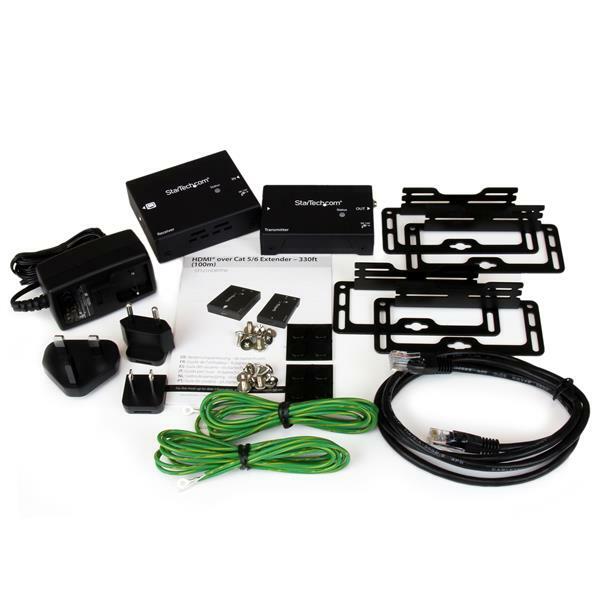 This HDBaseT extender Kit, extends HDMI up to 330 feet (100 Meters) over a single CAT5e or CAT6 cable. 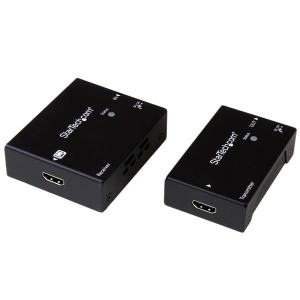 The extender supports Ultra HD and Full HD resolutions (4K / 1080p) with support for 3D and the accompanying 7.1 digital audio. 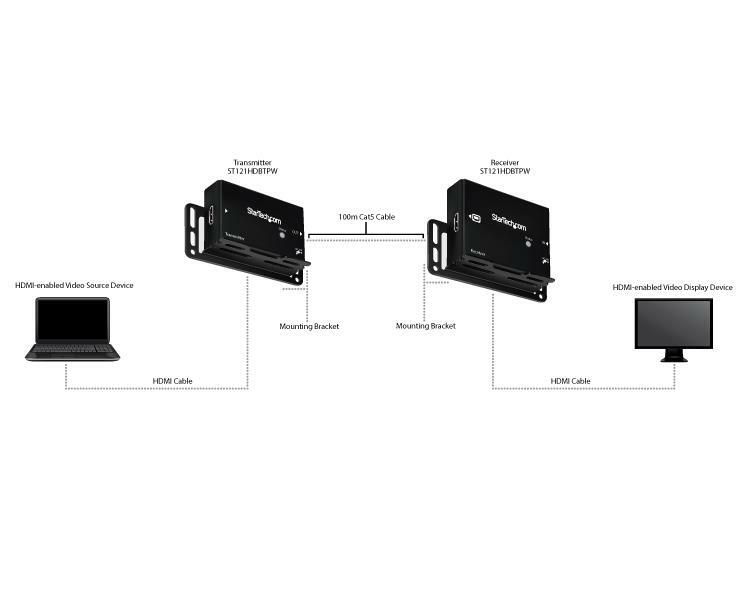 For added versatility, both the transmitter and receiver can be powered by the same single power source using Power Over Cable (POC). The versatility of this video extender makes it an ideal solution for digital signage applications in large buildings such as commercial shopping centers, stadiums, schools, and hospitals.